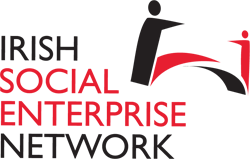 In Ireland, there is no specific legal form for a social enterprise. There are existing options to become a trading enterprise by either setting up a company limited by shares or limited by guarantee. For an enterprise to confirm an asset lock, a CHY number must be applied. This number effectively makes a company a charity with all the accompanying limitations. One option for introducing legally formed social enterprises in Ireland is the Community Interest Company. Introduced in 2005 in the UK, a Community Interest Company is a new form of company designed to allow social enterprises to use their profits and assets for social good. The Irish Social Enterprise Network is the CIC Regulators’ representative in Ireland and speaks on their behalf in the Republic of Ireland. A CIC can be a Company Limited by Guarantee, a Private Company Limited by Shares or a Public Limited Company (PLC). If the company is limited by guarantee and is not for profit, meaning it has an independent legal personality and limited liability but does not require funds from its members, it can become a CIC without concerns about dividend caps. On the other hand, if private companies limited by shares and PLCs wish to become CICs, the dividends paid on shares are capped at 35% of the company’s profits. Directors may also be paid by a CIC.